Ten test frames were constructed from 1” square Invar tubing for temperature stability. A Forward Looking Radar device was placed horizontally in front of the test platform. A beam of information was projected filling to an optical flat. The beam reflected by this 1st flat mirror, continues to expand and is reflected again by a 2nd larger flat mirror. The beam continues to expand to a 16 inch diameter off- axis parabolic mirror. 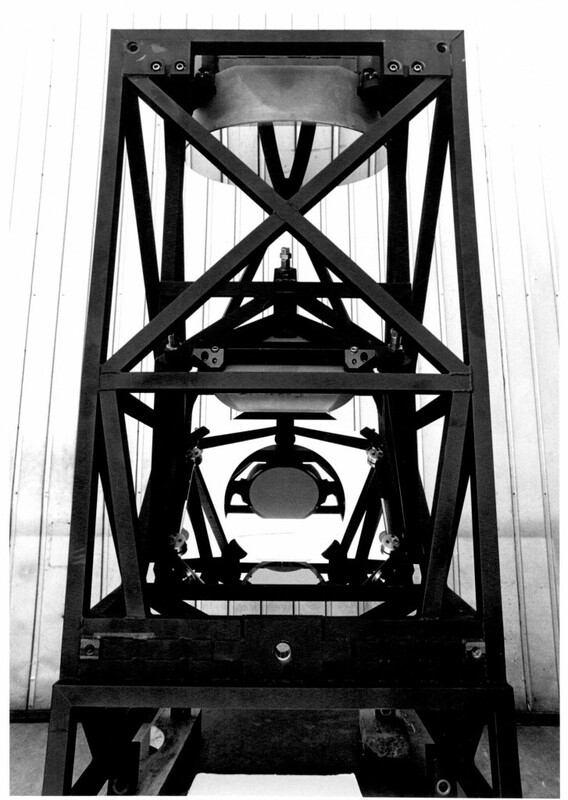 This mirror collimates the expanded beam for testing Forward Looking Radar devices. All mirrors were contained in custom three point non-restraining mirror mountings.